MyCyberOffice is an automatic synchronization module from Dolibarr to Prestashop. You can install the MyCyberOffice synchronization module very easily to your Prestashop shop. It will save you a lot of time in managing sales, shipments, and accounting for your business. This module is intended for any eshopkeeper who wants to increase his time available to manage his shop. Any update of stock, price, image, ... and any change of order status in Dolibarr will be updated in Prestashop in real time. MyCyberOffice is an automatic synchronization module (webservices) from Dolibarr ERP / CRM to Prestashop. This module is a complement to our CyberOffice module: Synchronization from Prestashop to Dolibarr ERP / CRM, it allows to establish with your Prestashop shop and your Dolibarr ERP / CRM a complete asynchronous link (Synchronization from Dolibarr to Prestashop & Synchronization from Prestashop to Dolibarr ). 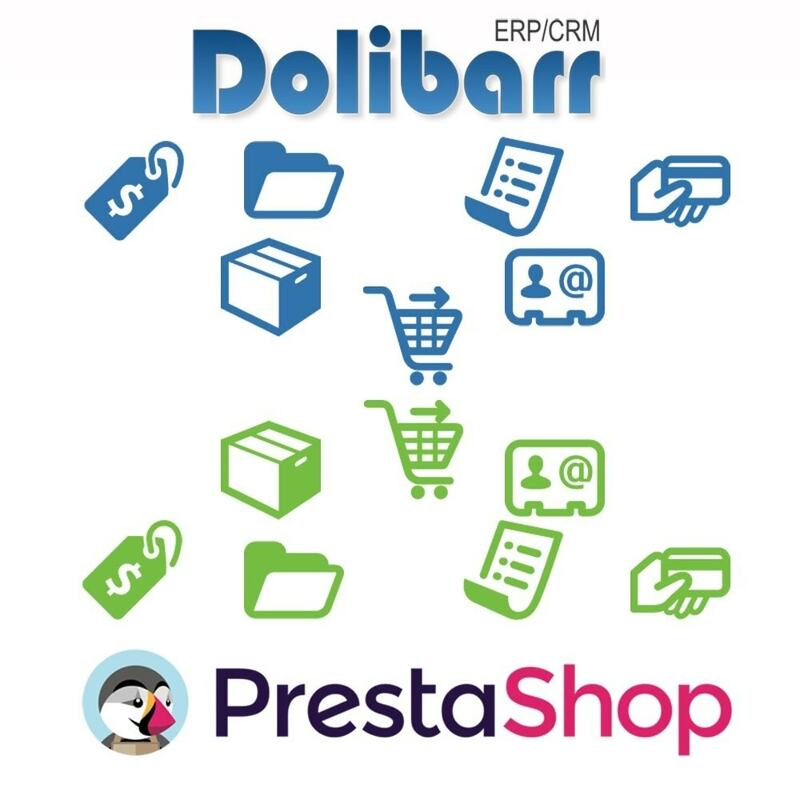 Your Dolibarr ERP / CRM becomes your management tool, your administration console of your Prestashop, you manage your products, your stocks, your orders with ease. Cyberoffice is an automatic synchronization module (webservices) from PrestaShop to Dolibarr ERP/CRM. Very easy to install and simple to use.Everything will be automatically synchronized in real time in your Dolibarr ERP / CRM. This module is a complement to our CyberOffice module: Synchronization from Prestashop to Dolibarr ERP / CRM. It can not be used alone. Very easy to install and easy to use. This module is to be installed by the backoffice "Add a new module". EmailViewedProduct is a module for automatically sending responsive marketing email messages to your customers when they visit your site. It is possible to add in the mail automatically additional blocks.